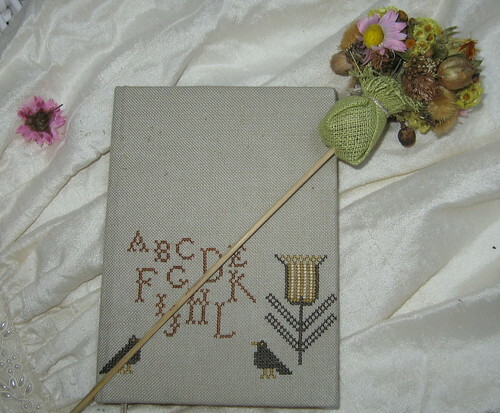 A present for my Mum - notebook with motives from Pins&Tulips Pincushion. Blackbird Designs. Motives from Pins&Tulips Pincushion. 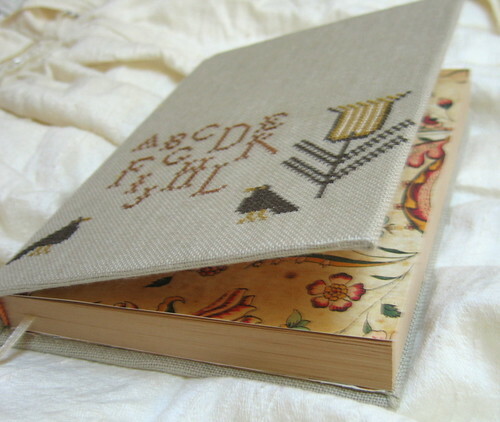 28ct linen, DMC threads. What an interesting idea. Nice job putting this together. I love it! I would love the instructions to make this for my daughter!